In many places in his work Kenneth Burke converted the name of James Joyce into the verb joycing to refer to the "deliberate transformation of a word for heuristic purposes." In this essay I try to burke Burke's speech to the American Writer's Congress and an unpublished essay entitled "Malnutrition" by using one of his papers, "Terministic Screens." I situate my analysis of Burke's essays in Marx's concepts of "surplus value" and "alienation." Of things exactly as they are." In a few places in his works, Kenneth Burke uses a strategy of explaining or expanding on a meaning of an expression – its multiple meanings – by “joycing” it, alluding to one of James Joyce’s stylistics of composition. If Burke can do that, one can also convert Burke into a verb and perform the same exercise on his own works. I would like to use this strategy to examine some of Burke’s writings in that momentous decade in American social, political and literary life – the “Thirties." As Burke tries to show everywhere in his books, writers are counter-agents and their works are “counter statements” – or should be in the sense that they tend to respond to the excesses of their own time and place and work against them to either promote, change or to restore a healthy norm (1994: p.63). He is going to tell us what Western history and modern society are all about; what is wrong with American society at the present time (early thirties) and what the requirements of the good life are – that is, he is going to write about ultimate matters such as human purpose, about what the permanent human needs are throughout history and how they have been and may now be adequately satisfied in the flux and change that is history (1994:p.64). One of the ways in which he was to do this was to represent fundamentally revolutionary ideas and radical programs in forms and metaphors that were, shall I say, more accessible to a different audience than to the ones for which they were originally intended, as well as to couch new messages in idioms that could be better appreciated by suspicious ones. The dramatistic view of language, in terms of “symbolic action” is exercised about the necessarily suasive nature of even the most unemotional scientific nomenclatures. And we shall proceed along these lines: Even if any given terminology is a reflection of reality, by its very nature as terminology is must be a selection of reality; and to this extent, it must function as a deflection of reality (1966a: p.45). They were different photographs of the same objects, the difference being that they were made with different color filters. Here something so “factual” as a photograph revealed notable distinctions in texture, and even in form, depending upon which color filter was used for the documentary description of the event being recorded (1966a: p.45). Burke’s version of a camera that filters the object that it is exposed to before it records it on film is indeed a form of transformation by recoloration, as Marx’s usage of the camera obscura was a metaphor to depict the distortion of reality that ideology achieves. Yet, there is, of course, also a major difference. For Marx, there is indeed a basic reality that is distorted by the workings of ideology: “men and their relations” exist un-obscured except when they are distorted by ideology. For Burke, however, for all symbol-using animals and symbol-making ones, all the reality that is the basis of knowledge and action is made available to them only as it passes through terministic screens. Marx’s camera obscura, which reverses the causal process in the understanding of social reality in which the materialist factors are said to be the consequence of ideological ones, and Burke’s filtering camera, are both instances of “symbolic transformation” – to use Suzanne Langer’s (1970) expression. In one case, the camera transforms one reality that is head-up and feet-down, as feet-up and head-down and Marx shows that what is needed is to put the feet down and keep the head on top. Hegel, like the image in the camera obscura, was standing on his head and it was necessary to correct this, in Frederick Engels’ memorable image (1970; ). In Burke’s work, the intervening symbolic process transforms the object that it perceives and records it with a camera with filters. For Marx the transformations achieved by his camera are sinister – they enable oppression to continue unabated until the obscurity is obviated by the conversion of “false consciousness” to “class consciousness,” while for Burke this is the normal state of affairs for the symbol-using species. To escape from one filter is to really slip into another. Still, Burke argues, that there is no cause for despair: one can still control the symbolic processes by selecting the most semiotically effective terminology, the one that is identity-rich, to advance the progressive cause. In other words, he or she can become a conscious and deliberative and wised-up agent and select one screen over another, reject one and substitute another and so on and so forth as long as he or she is made to recognize the fact that all reality is made available to a human agent through one symbolic screen or another and that one must choose the screen that is likely to be most semiotically effective, as Pierce would have put it (1953: p.98-120). That one can be – as the workers described by Conroy’s Hans – deceived by the camera obscura , does not mean that workers are not without any capacity to become agents of their own destiny, sooner or later. To achieve this it is necessary to devise rhetorically effective terminologies. One can examine Burke’s own writings to see that in many instances in his work this is exactly what he was doing: substituting a new screen for an old one, albeit one that made the image more useful in revealing all its social and political implications. He tried to change the image, if not quite the way that Marx wanted it done, but certainly to supplant one coloration of a symbol with another, to correct one shade of a term and put in its place another more effective one, thus one establishing the claim of the social role of the artist and critic that he defined in Counter-Statement. Kenneth Burke’s address to the American Writers’ Congress has achieved almost an iconic status in the history of the politics of American literary criticism and has received a number of analytical comments since it was delivered. Recently Ann George and Jack Selzer have submitted it to a systematic examination (2007), and a few years earlier Lentricchia (1983) also wrote an exhaustive commentary on it. In the aftermath of the speech itself, there were a number of objections as described in the volume edited by Herbert Simons and Trevor Melia (1989). The capitalist system crumbles so rapidly before our eyes that, whereas ten years ago scarcely more than a handful of writers were sufficiently far-sighted and courageous to take a stand for proletarian revolution, today hundreds of poets, novelists, dramatists, critics, short story writers and journalists recognize the necessity of personally helping to accelerate the destruction of capitalism and the establishment of a worker’s government (in George and Selzer, 2007: p.13). Burke signed this call, along with several others and soon enough he made a presentation to the meeting of the Congress on "Revolutionary Symbolism in America." George and Selzer summarize the intent of the paper nicely as an examination "...in hardheaded, pragmatic terms, of the semiotic associated with the revolutionary movement in the United States, the myths and 'symbols' around which the left was seeking to create 'areas of allegiance' – particularly the terms masses and the worker" (2007: p. 170). The acceptance of the “people” as the basic symbol also has the great virtue that it makes for less likelihood of schematization on the part of our writers…I am suggesting that an approach based on the positive symbol of “the people” rather than upon the negative symbol of the “worker” makes more naturally for his kind of identification whereby ones’ political alignment is fused with broader cultural elements (in Simons and Melia, 1989, p 270-271). If Burke had not used the antinomies of “negative” and “positive” and used instead others, for example, “exclusionary” and “inclusionary,” he might well have received a better response. The response to this speech was somewhat explosive. One of the organizers of the conference was moved to shout “we have a traitor among us” write George and Selzer, who add that “someone else explicitly linked Burke’s thought to Hitler’s” and cite from Lentricchia’s description of the event: Burke himself was so upset with these responses to his speech that he described himself as having hallucinations of “excrement dropping from his tongue” (George and Selzer 2007:p.18). George and Selzer give us an exhaustive analysis of this episode in Burke’s life and that of the American Writer’s Congress and situate it very convincingly in the socio-political ethics of the “popular front” line promoted by many leftists at the time. Dramatism as a method of analysis and a corresponding critique of terminology is designed to show that the most direct route to the study of human relatives and human motives is via a methodological inquiry into cycles or clusters of terms and their functions (1968a: p.445). In the eyes of his audience of true believers at the congress, however, the essence of Burke’s recommendation was to disavow the distinction/division between “working class” and the “capitalist class,” between “proletariat” and “bourgeoisie” between “alienated labor” and alienating ruling class, and claim a unity of “people” that not only does not exist but cannot possibly exist, dialectically speaking. Nevertheless, the audience at the congress – differentiated from the “people," to be sure, and presumably containing no members of the authentic working class – was not disposed to accept Burke’s subtleties of identification through terminological transformation nor to examine the political and pragmatic value of such a transformation. From their point of view Burke, a shearsman of sorts that he was, was trying change the tune with his “blue guitar” rather than play the tune to which the listeners were accustomed. George and Selzer lighten these reaction somewhat and claim that “It is possible to flesh out the episode” with data from other sources and conclude that Burke’s position was “less marginal though not less controversial” (2007:19). Logie, writing in KB Journal, citing Malcolm Cowley, who should know, has a different version of the incident. He was not called a “traitor” it is claimed, but a “snob." Of course the latter term does not have the sting of “traitor,” traitor to the working class, that is, but as terminological screen, it does have the effect of exclusion and expulsion from the club of the true proletarians. Be that as it may, one can ask why his audience was so deeply hostile in its responses. After all, Burke was one of them, a signatory to the call to Congress and recognized as a “Marxist with Stalinist leanings” as Eliseo Vivas claimed in a review of Burke’s book Attitudes to History in The Nation (11/25/1937:p.230). What was Burke’s particular infelicity in asking that the term “people” be substituted for “workers” or “working classes” in not only the proletarian writings but all appeals to get the “masses” to identify with and support the progressive cause? It is because there is a certain incantatory magic,and certain history, in the words "the workers,” “the working classes,” and "the proletariat” which can be traced to the foundational claim of the Marxist movement about the creation of “surplus value,” a foundation again for the claim that the working classes had a moral right to rule the society or that the socio-economic system should be managed for the benefit of the working classes. Any departure from this rhetoric was, for some, in fact a betrayal of the very raison d’etre of the socialist movement. The consequent of this theory -- that the workers produce goods by their own labor whose value the capitalist appropriates and turns into profit, which he keeps, whereas it is the workers who are entitled to it – is the theory of exploitation. The fruits of the workers’ labor were, in fact, taken from them, “appropriated” leaving them under-paid, under-fed, over-worked and isolated from family and friends – indeed “alienated." The terministic screen that Burke introduced – “the people” – does not have the implications of the “workers” and indeed may even include those people who practice the exploitation and profit from it. Many of these “people” – no doubt even some in Burke’s audience – do not produce surplus value. In that sense, it was a screen that showed too broad a spectrum and seemed to diffuse not only the color of the term “working class” but flatten its moral standing. Yet, there is no doubt at that particular juncture in history – when a truly revolutionary transformation of society did not seem imminent, when the world socialist movement was working towards “Popular Fronts,” as George and Selzer have pointed out, even with “bourgeois” parties, when the struggle against fascism was felt to be of immediate concern – Burke’s terminology was the right one. In fact, most of the leftists eventually ended up supporting Roosevelt and the new deal and accepted the fact that at least some of the “people,” in addition to the working class, could create at least a minimum of much needed social change. Soon after, or soon enough after, Burke was denounced for recommending the term people as a more rhetorically effective symbol for revolutionary politics, Hitler invaded the U.S.S.R., no doubt in the service of the volk, and a “dirty imperialist war” that U.K. and U.S.A. were waging became a “Peoples’ War” and many of the leaders of the working classes scrambled to endorse it. Soon after, the war ended and “communism” was introduced into various countries in Eastern Europe; they became “Peoples’ Republics." Burke’s choice of the symbol of “people” for the revolution, it turned out, was prophetic. What then was Burke up to in this controversial speech? He was certainly not rejecting the need for a revolutionary transformation of American society and the right of the American working class to seek redemption from their oppressive working life but to transform the rhetorical strategies so that a more inclusive terminology will be able to draw more people, not only into the militant vanguard but also to the rearguard. The program that Burke presented was not so much an attempt at a rejection of Marx as a dialectical expansion so that the progressive movement will itself move forward. Burke tried his hand apparently at another terminological substitution in an unpublished document unearthed by Anne George from the Burke archives entitled “Malnutrition” and distributed at the Burke conference 2008 at Villanova University, Pennsylvania. In this piece, he argues, implicitly i.e. transformatively, that, instead of talking in recondite philosophical terms from Hegel and others about the problems of the proletariat, they should be addressed in down-to-earth practical terms. Not “alienation” then, but “malnutrition." To be semiotically and rhetorically effective, one must indeed speak the “thinking of the body” and the language of the body (Burke, 1966b). 1. Alienates nature from man. 2. Alienates man from himself, from his own active function, his life activities, so it alienates him from the species. 3. It alienates man from his own body, external nature, his mental life and his human life. 4. A direct consequence of the alienation of man from the product of his own labor, from the life-activity is that man is alienated from other men (and women). "...becomes poorer the more wealth he produces, the more his production increases in power and extent. The worker becomes an ever cheaper commodity the more commodities he produces…So much does the realization of labor appear as loss of the reality that the worker loses his reality to the point of starvation. So much does objectification appear as loss of the object that the worker is robbed of the objects he needs most not only for life but also for work (1959 a : p.2). He goes on later in this work to connect such conditions to the practical events of everyday life, “The crudest methods of production are coming back: the treadmill of the Roman slaves, for instance, is the means of production, the means of existence, of many English workers. It is not only that man has no human needs – even his animal needs cease to exist." He then takes up as an example the most exploited section of the working class in England at that time: "The Irishman no longer knows any need now but the need to eat, and indeed the need to eat potatoes, and scabby potatoes at that, the worst kind of potatoes” (Marx,1959b:  p.2). That is, not only is the worker unable to keep connectedness to others and to keep the network of social relations, a sine qua non of human existence, going but is also finding it difficult to meet his or her “animal needs." This is for Marx a direct consequence of the fact that the products of the worker’s own labor are appropriated by the capitalists and turned into profit while the worker remains poor and continues to be increasingly pauperized and eat little or nutritionally unsatisfactory food. In a genuinely proletarian novel, Nobody Starves, Catherine Brody (1932) was able to take alienation and impoverishment all the way to food. Unless Marxists are ready to deny Marx by attacking his term “alienation” itself, they must permit research into the nature of alienation and into the nature of attempts, adequate and inadequate, to combat alienation (1941: p308). To do that, one must go down from the head to the lower body, from philosophy to biology and confront the consequences of poverty in the form of sustained malnutrition of the workers. Marx himself transforms the religious conception of alienation to a materialist one. The alienated individual for Marx was one who suffered estrangement from his/her fellow beings as well as from his/her products and the fruits thereof. . One goes from religious alienation to “idealist” alienation (Hegel) to materialized alienation (Fuerbach, Marx) and finally to poverty and from poverty it is but a small step to malnutrition. A new filter has been introduced into the camera and it has enabled a new, perhaps a more detailed and sharper, picture to emerge. Alienation, in Marx’s sense, ultimately leads to malnutrition among the working classes and leads to weaker bodies, weakened workers, sterile and unfruitful sexual relationships, perverted social relationships, the subversion of the “species qualities” and the collapse of the species! And, before that, perhaps the collapse of the capitalist system itself, unless wage-slavery is ended and the workers paid, at least, a living wage, so that they will have the healthy bodies to go down into the mines. Kenneth Burke’s work in the two instances, relatively small ones at that, was, of course, part of his larger project focusing on language as symbolic action. It has deep affinities with the other developments in Marxist theory that have been felicitously labeled “Semiotic Marxism” by Albert Bergesen (1993) referring to the work of Antonio Gramsci, Louis Althusser, Nicholas Poulantzas, Ernesto Laclau et al. In their collective work they could be said to have shown, along with Burke, to use a metaphor from Marx himself, that all that is solidly materialistic melts into words. This does not mean that Burke was a wooly headed idealist but a realist who accepted the materiality of the obdurate world and for whom language itself, was, as it was for the latter day semioticians, a material reality. (Coward and Ellis,1977)But that is a different story for a different time. * Robert Perinbanayagam works for the Sociology Department of Hunter College of the City University of New York and Graduate Center. Correspondence to: perinba@verizon.net. Burke, Kenneth (1965 ). Permanence and Change. New York: Bobbs-Merrill. (1966a). “Terministic Screens.” In Language as Symbolic Action. Berkeley: University of California Press. (1966b). “The Thinking of the Body (Comments on the Imagery of Catharsis in Literature)" in Language as Symbolic Action. Berkeley: University of California Press. (1968a). “Dramatism.” International Encylopedia of the Social Sciences. New York: McMillan and Company. (1968b. ). A Rhetoric of Motives, Berkeley: University of California Press. (1974 ) The Philosophy of Literary Form: Studies in Symbolic Action. Berkeley: University of California Press. Brody, Catherine (1932). Nobody Starves. New York: Longman Green & Co.
Conroy, Jack (1982 ). The Disinherited. Lawrence Hill and Company. Engels, Frederick (1970 ). Socialism, Scientific and Utopian. Moscow: Progress Publishers. George, Ann and Jack Selzer (2007). Burke in the 1930s. Columbia: University of South Carolina Press. Hazlitt, Henry (1932). Review, "Two Critics." The Nation. January 20, 1932, p 77. Langer, Suzanne (1970 ). Philosophy in a New Key. Cambridge: Harvard University Press. Logie, John (2005). “We Write for the Working Classes: Authorship and Communism in Kenneth Burke and Richard Wright." KB Journal – 2005:11:4. Marx, Karl (1970 ). The German Ideology. New York: International Publishers. (1959a ). “Estranged Labor.” In Economic and Philosophical Manuscripts. Moscow: Progress Publishers. (Trans. Martin Mulligan). Internet Version: www.Marxists.org./archives. (1959b). “Human Requirements and Division of Labor” in Economic and Philosophical Manuscripts. Moscow: Progess Publishers. (Trans. Martin Mulligan) Internet Version: www.Marxists.org./archives. (1963 ). The Eighteenth Brumaire of Louis Napoleon. New York, NY: W.W. Norton and Co.
Ollman, Bertell (1977). Alienation: Marx’s Conception of Man in Capitalist Society. Cambridge: Cambridge University Press. Paolucci, Paul (2001). "Classical Sociological Theory and Modern Social Problems: Marx's Concept of the Camera Obscura and the Fallacy of Individualistic Reductionism." Critical Sociology. Vol. 27, No.1, 77-120. Pierce, Charles Sanders (1953). “Logic as Semiotic: The Theory of Signs” in Philosophical Investigations. New York: Dover Publications. Rueckert, William (1994). 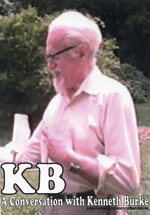 “A Field Guide to Kenneth Burke” in Encounters with Kenneth Burke. Chicago: University of Illinois Press. Simons, Herbert and Trevor Melia (1989). The Legacy of Kenneth Burke. Madison: University of Wisconsin Press. Vivas, Elisio (1937). “Toward an Improved Strategy." The Nation. November 25, 1937:723. "All That Is Solid Melts into Words: An Exercise in Burking Burke; by Robert Perinbanayagam is licensed under a Creative Commons Attribution-No Derivative Works 3.0. Based on a work at www.kbjournal.org. Criticism in Context: Kenneth Burke's "The Rhetoric of Hitler's 'Battle'"